I-271 South to the BRAINARD RD exit, exit number 32, toward CEDAR RD. Turn RIGHT onto CEDAR RD. 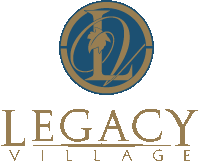 Legacy Village is on your right. I-271 North to the CEDAR RD WEST exit, exit number 32, toward BEACHWOOD. Merge onto I-271 North toward US-422 W/ ERIE PA.
Take the CEDAR RD WEST exit, exit number 32, toward BEACHWOOD. I-90 East to I-271 South. Take the BRAINARD RD exit, exit number 32, toward CEDAR RD. I-480 East to I-271 North via the exit toward US-422 W/ ERIE PA.